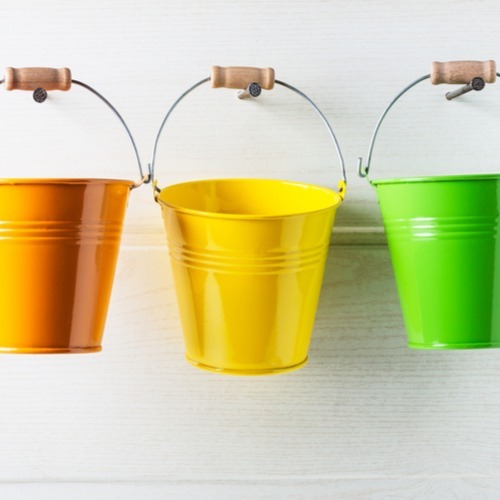 If you have committed to becoming a Knight…fill this bucket. The Reflection Pond – eventually you are going to want to make a splash in the recently renovated pond. Don’t wait for Spirit Splash and definitely not as far off as graduation. There will plenty of other things to celebrate along the way, but don’t tell them we sent you. CFE Arena – Don’t wait for graduation to first go to the arena. There are always things happening there from sporting events to concerts. Check it out. Lake Claire Recreation Area – This is where you go when you want to relax outdoors. Located at the end of Greek Park Drive, there is something for everyone. Our favorite is the paddleboards. Oh, and rentals are FREE. Park Avenue in Winter Park – Yes, it’s a shopping, strolling and/or dining experience, but it is also a quaint little town and it isn’t far from UCF at all. Lake Eola – in the heart of downtown Orlando you can go for a walk or run (its .9 miles around) or rent a swan-shaped paddle boat (sounds corny, but maybe just once), feed the live swans and other birds, see a concert or a play in the Walt Disney Amphitheater, grab a bite to eat, enjoy the fabulous view of Orlando’s skyline, go to the Sunday Farmer’s market or, our favorite, enjoy Sunday morning yoga from 11-12 for only $5. Disney Springs – is an outdoor shopping, dining, and entertainment complex at the Walt Disney World Resort in Bay Lake, Florida. It’s a little Disney-ish, but you should probably go at least once. Disney parks and Universal – This is one of the more obvious. Be sure to get use your student ID for a discount when you purchase tickets (for a lot of other local stuff like this too) at the SGA Ticket Center. And if you are really enthusiastic, you may want to get a yearly pass. UCF football game/ tailgate – Yes, they can be hot, but the school spirit can’t be beat. We recommend far more than one a season. Take a picture with the O’Leary statue as you enter the Bright House Networks Stadium. It will make for great reminiscing at some point. 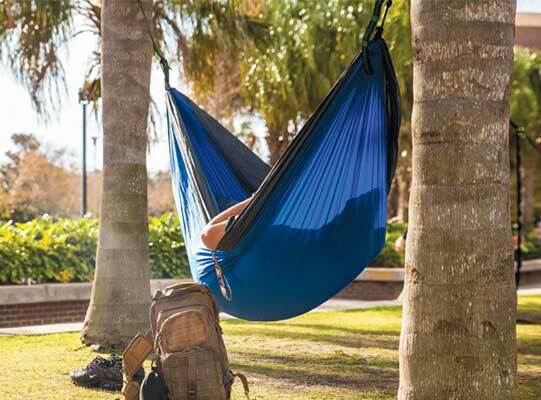 Nap in a hammock – You will see hammocks all over campus (my daughters is blue too) and they are truly a great way to chill between classes. Participate in Knight-Thon – Dance the night away – literally and fund-raise at the same time. More information can be found here. Visit the arboretum – Yes, there is an arboretum right on campus. You may even want to consider volunteering here. It is just really cool. Orlando City Soccer game/Magic basketball game – take your pick, but if you’re a sports fan, you should probably attend at least one of these. Rock climbing in the UCF RWC – It is more than a calorie burning activity. Attend Universal Knights – About 12,000 lucky UCF students will be able to visit Universal Studios’ Islands of Adventure for free during Universal Knights which usually happens in April from 4 pm to 1 am. Watch for announcements so you can one of the lucky ones. Ice skate at Light Up UCF – Yes, you can ice skate in Florida. Check it out the music, ice, and lights at the CFE Arena sometime in the fall.